Learning to budget seems a bit overwhelming but it's actually really easy. Let's get started. Building a budget is simply splitting your income into categories. A simple way to look at these categories is wants and needs. You need to just adjust your categories by what's really most important. Once you change your categories, lock down the saving and debt payoff category. This is a fairly typically good conservative template to get you started. Now let's look at why you should budget. Your Net Worth is your Assets minus your Liabilities. Yes... this can be a negative number and usually is in most cases. My net worth was always negative up until about halfway through my career. Don't confuse Net Worth with Self Worth... Seriously, don't let this get you down, this is just a place to get started. Assets are those things that make you money or pay you. Liabilities are those things that take money away from you or cost you money. One of the best ways to think about it is your net worth is a bucket. 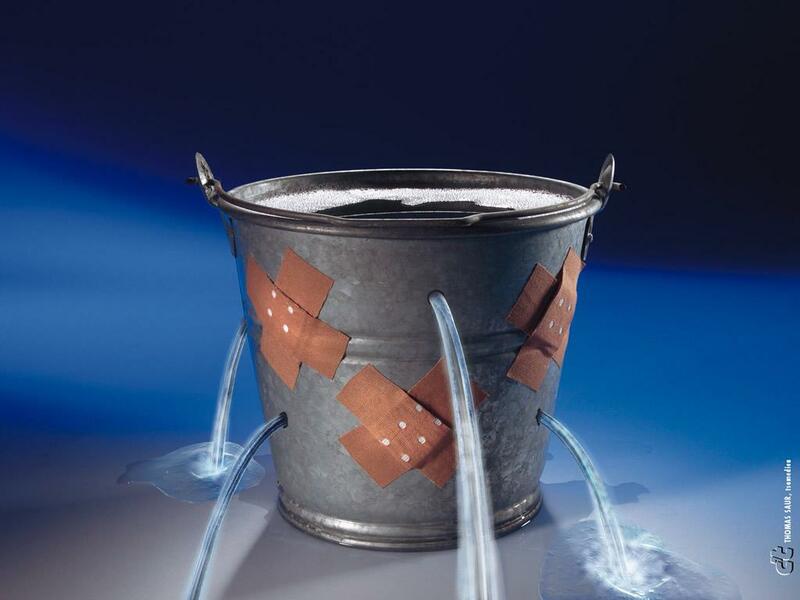 Water going in is your assets, liabilities are holes in the bucket. The most important thing to understand is the difference between rich people and poor people. This is where most people get discouraged. But this is the big secret. All you have to do is begin to shrink your liabilities and begin to grow your assets. Getting started is always the hardest part. Here's the best way to get started. Start saving. Before you do anything else. Start to save 10-15% of your income. You can learn what to do with it later. It's important to start now. Take a real look at your budget and see where your money is going. Start to think of ideas how to get your budget under control. Begin the process of isolating your expenses and liabilities. Identify and start chipping away at your liabilities and expenses. Learn, learn, learn... There are a ton of great resources out there. The most important thing is to start to learn. Start to grow your assets. Remember, your assets pay you. Rich people make money from money. Even the money they do earn they put to work and it makes more money. This is only the beginning but a great place to start. Subscribe to Commando Systems for more guides like this. Good luck. You're on your way to being wealthy. One baby step at a time.